Wade ended his four-year wait for a TV title at last weekend’s European Championship and wasted no time in claiming a ninth TV crown in Austria after surviving five match darts in a pulsating final leg. The 35-year-old recently became a father for the first time and an emotional Wade once again dedicated his triumph to son Arthur. “This is another win for Arthur, I couldn’t be happier right now,” said Wade, who pocketed the £50,000 top prize. “I threw it away but then Michael did the same and I was very grateful for my second chance to win that game. Wade began the weekend with a win over Ross Smith before silencing the Austrian crowd in round two with a win over fans’ favourite Mensur Suljovic to reach the final day of action. Sunday afternoon’s quarter-final saw the Aldershot thrower see off Jamie Lewis before a convincing 11-2 victory over Van Barneveld, who stunned world number one Michael van Gerwen in the quarter-finals, saw him reach the Vienna showdown. Wade raced into a 3-0 lead before Smith battled back to level it up at 5-5 at the second break with a 100 checkout, with the St Helens star averaging 105.3. Smith levelled the tie once again with a stunning 170 checkout but Wade replied with a trademark 112 checkout to lead 8-7. Smith landed an 87 checkout to lead for the first time at 9-8 only for Wade to turn the final back around as he broke the Smith throw to lead 10-9. 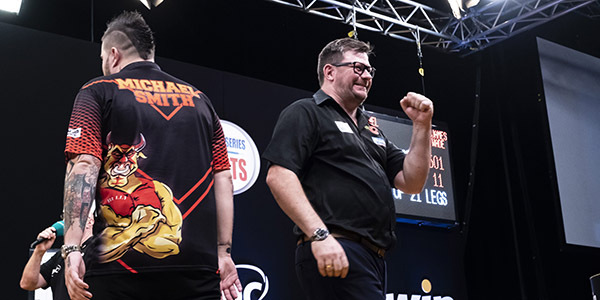 An incredible end to the match saw Wade bust 121, allowing Smith to level at 10-10 before a gripping final leg saw Smith miss five darts for the title allowing Wade to find double 18 for the win. The Final 4 PDC Unicorn Development Tour events of 2018 are over this weekend from Robin Park, Wigan. The top 2 players on this table win a PDC Tour Card for 2019/2020, with both these players also qualifying for there World Championship. 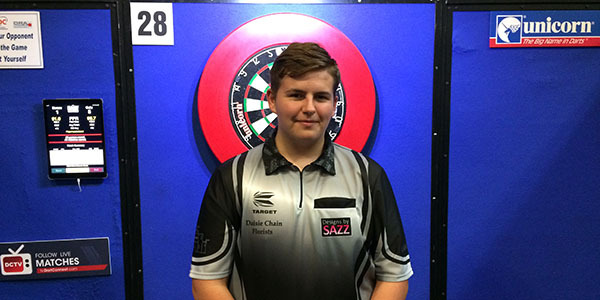 Up to the top 74 players on the final DTOoM will also qualify for the World Youth Championship which is on Monday. 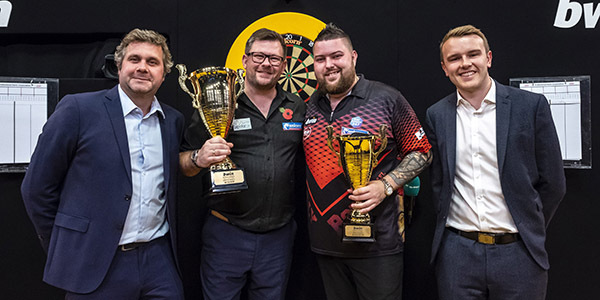 The two players to qualify for the 2018/2019 William Hill World Darts Championship via the Unicorn Development Tour will be confirmed this weekend. Ted Evetts, who competed at last year’s World Championship, is in line for a return, while George Killington currently occupies the second qualification place. For the full table CLICK HERE This table will be updated following Saturdays events and a final table will be announced after play on Sunday evening.